The brand-new trailer for Venom will be released tonight at CinemaCon, according to Tom Hardy. The first bits of footage that were released for the movie earlier this year weren't received very well by fans. There was a slight tease of the symbiote, but the rest of it looked like a regular action movie starring Hardy. The stakes are high for the new Venom trailer, and fans are hoping that we will get our first look at the symbiote and even further, fans are hoping that we get a Carnage tease this time around as well. Tom Hardy took to Instagram over the weekend to announce that he was taking a break from working on Josh Trank's Fonzo and heading out to Las Vegas for CinemaCon to debut the new footage from Venom. Hardy stars as Eddie Brock and the host of the symbiote in the movie, which hits theaters this October. Fans have been waiting for a year to see what Venom will look like on the big screen after the character first showed up in Spider-Man 3 with Topher Grace playing the symbiote. 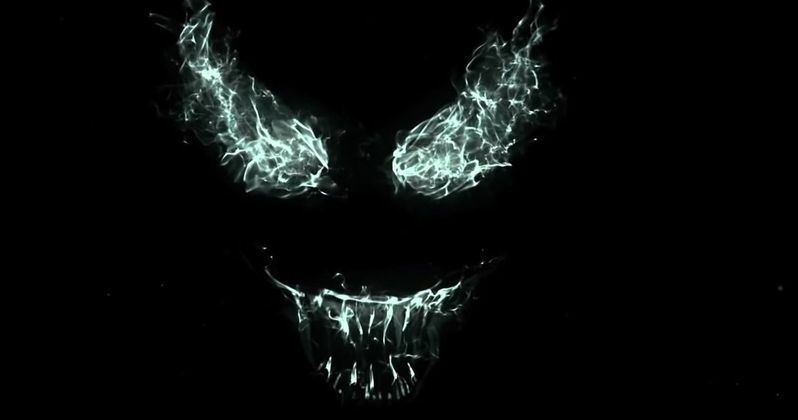 The backlash for the Venom teaser trailer was pretty intense, so it will be very interesting to see what they are able to put together for the new trailer. The new footage could end up being a make or break moment for the Sony movie after people tore apart the first teaser. Instead of our first look coming from any Venom footage, it was leaked on an advertisement for iced tea, which seems pretty backwards. However, the first teaser was released directly after production had wrapped and seemed to be rushed out. The new Venom trailer is expected to make its debut in front of a live audience between 6:30 PM and 8:30 PM, Pacific time. Since the trailer is being shown for the first time at CinemaCon, it's expected to be the main piece of marketing for the Venom movie until the promotional campaign starts, which could be at the end of August. After the trailer is played at the convention, it will more than likely get posted online directly after, unless Sony tries to pull an MCU and only show the footage to a live audience for the hype factor. But, that doesn't seem like that will be the case since Tom Hardy has announced that the new trailer is coming. Venom hits theaters on October 5th, and as previously mentioned, there's a lot riding on this new trailer. In addition to Tom Hardy as the symbiote, it has been heavily rumored that Woody Harrelson is playing Carnage, so if fans get a peek at the symbiote and a little hint of Carnage, the wrongs of the first teaser trailer will more than likely be forgiven. The good news is that we only have to wait until this evening to see the new Venom trailer. You can check out the announcement of the new trailer below, thanks to Tom Hardy's Instagram account.